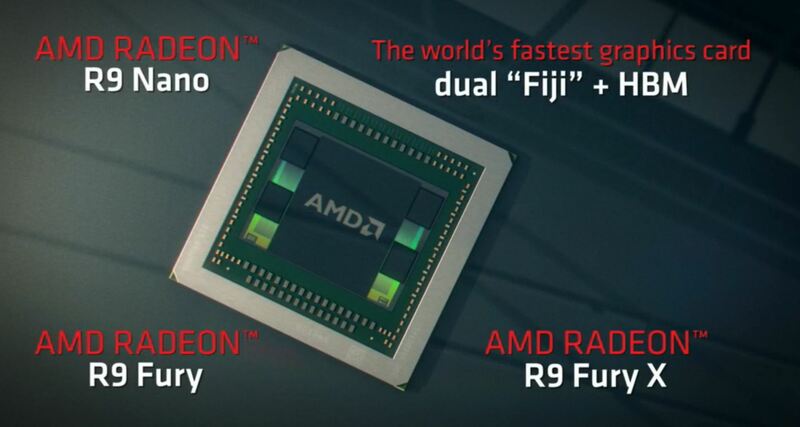 AMD Prepping R9 Fury X2 In Time For The Holiday Season - But Can The Dual Fiji Radeon Flagship Deliver? As it turns out the answer to the question can it deliver? is a resounding yes. Sadly however as we only have one Fury X in-house we weren’t able to conduct our own testing. However thankfully we can turn to our good friends at Tweaktown.com who were among the first to publish CrossfireX results for the R9 Fury X. At 3840×2160, which is the resolution that we would reasonably expect gamers who’d spend $1300+ on a pair of graphics cards to play games at, two R9 Fury X cards in CrossfireX demonstrated a significant lead in average and/or minimum FPS in 6 out of 7 tested games against two GTX Titan X cards in SLI. Against two GTX 980 Ti graphics cards in SLI, two R9 Fury X cards were faster in all 7 tested titles at 4K. At 2560×1440 it was a much closer race. The dual R9 Fury X setup comes out ahead in 3 out of 7 games, the dual Titan X setup comes out ahead in 3 other games and both setups come to a dead heat in one out of the seven tested titles. It might seem slightly peculiar at first that Fury X cards in CrossfireX are far more competitive with the Nvidia offerings than the same Fury X cards in single GPU setups. One 980 Ti will often outperform one Fury X at 2560×1440. And while it’s a much closer race between the two cards at 4K, when it comes to multi GPU setups two Fury X cards will often lead two GTX 980 Ti cards in SLI. 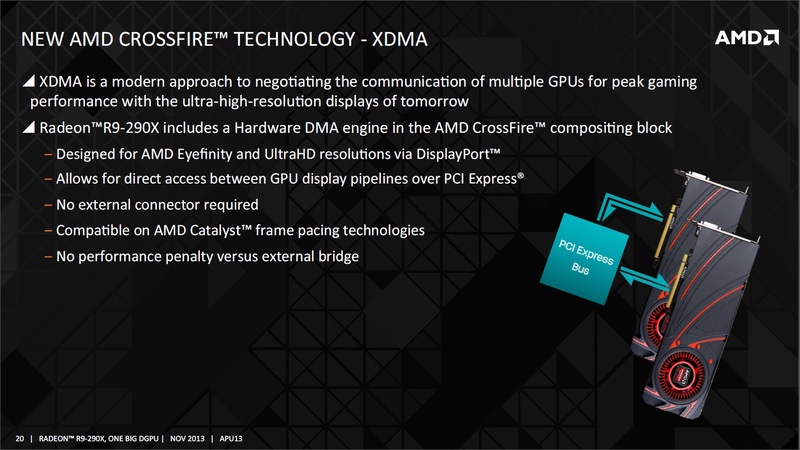 We’ve seen a similar trend with AMD’s R9 290 series as well and it all comes down to AMD’s CrossfireX DMA engine. It enables faster, lower overhead communication between multiple GPUs, this in turn translates to better CrossfireX scaling. And that’s what we’re seeing take effect here. It also enables GPUs inside multi-GPU setups to inter-communicate through the PCI Express interface which eliminates the need for a CrossfireX bridge. While Nvidia’s NV-Link technology is targeted towards a different market with very different workloads – mainly for enterprise and HPC applications – the concept itself requires that Nvidia’s upcoming Pascal GPUs are built with the necessary hardware to enable this feature. The same hardware will allow Nvidia to deliver a similar solution to AMD’s XDMA in consumer gaming applications. 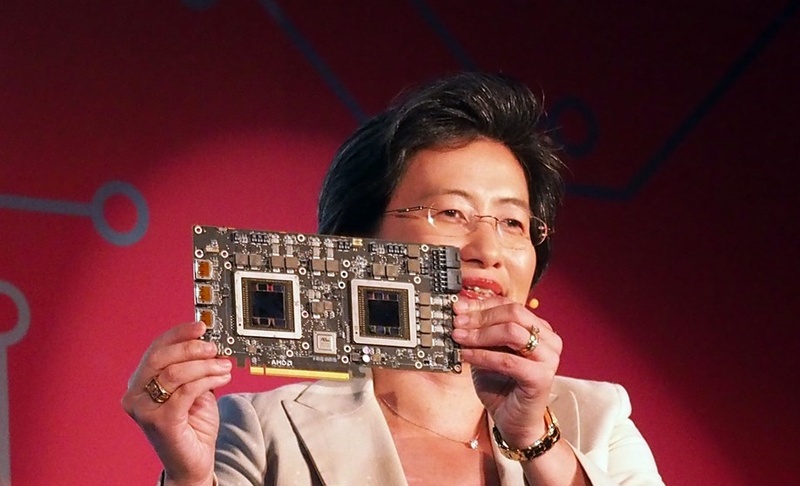 But until then, AMD’s GCN 1.1 and later GPUs will continue to enjoy an advantage in multi-GPU scaling. An advantage that could allow AMD’s R9 Fury X2 to succeed in securing the frequently sought after “world’s fastest” title.